Early in November, a group made up of Nigerian, Ghanaian and Sudanese photographers set out from Lagos on a 12,000 km journey by road to Addis Ababa. For forty days, they crossed from Nigeria to Cameroon to Chad to Sudan and into Ethiopia, experiencing the local communities in their raw, refreshing states. The trip was the third in the series of the Invisible-Borders project, which the initiators hope will test the supposed oneness and unity among Africans, in spite of the physical demarcations at border posts. In very reflective prose, Iduma highlights the highs and lows of the adventure as well as the unique features of the places they passed through and the everyday people they came across. Though every detail of the trip was spelled out from the onset, there still were scary uncertainties. None of the travellers had ever been to the countries on the Invisible-Borders itinerary before. 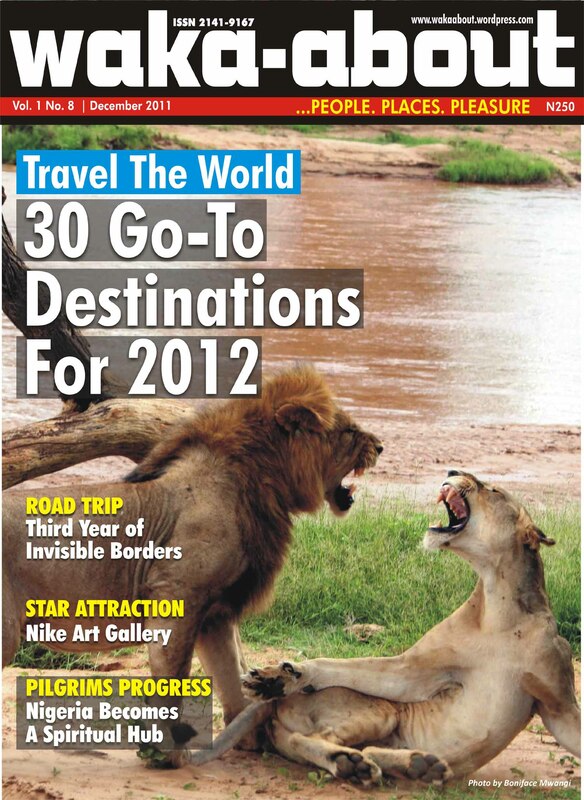 In 2012, I encourage our readers to get more adventurous and explore their world, both immediate and distant. The inspiration to do that is already in these pages. See you all in the New Year.